Both our Executive & Premium lines are covered by our famous no hassle lifetime warranty. These mats are guaranteed not to break, chip or crack EVER. Making a claim is as simple as a phone call or email and we will arrange delivery of a replacement mat or refund of the original purchase price. 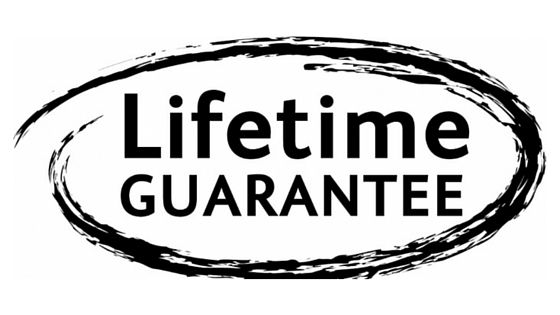 This is the best lifetime guarantee that you’ll never have to use! The only thing that will void your warranty is the use of “ball casters” (see below for examples). These casters are very inefficient and cause unnecessary stress on the mat causing it to deform or break. Luckily almost all modern chairs use the superior “roller casters” so this shouldn’t be an issue. We proudly warranty our vinyl chair mats to be free from defects in workmanship or material. Should one of our warranted Executive or Premium vinyl mats break or crack under normal usage. 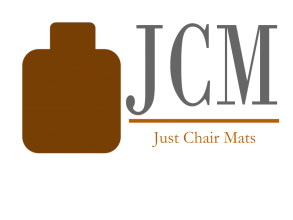 Just Chair Mats will do a one time replacement of the chair mat with a like or similar product (or, at its option refund the original purchase price) upon proof of purchase (original receipt) and upon return of a small piece of the defective mat to our factory. Colors are subject to normal action of exposure and to sunlight and are therefore not covered by this warranty. The use of metal casters or casters with surface contact less than one-half inch in width, ball type casters, or use on painted or varnished surfaces voids this warranty. Just Chair Mats reserves the right to inspect the returned goods for evidence of misuse prior to issuing any adjustments. This warranty is in lieu of all other warranties, expressed or implied, including any implied warranties of merchantability of fitness, which are expressly excluded. Liability under this warranty is limited to cost of the product and shall not extend to any other special or consequential damages. Warranty excludes any Vented or Moisture Control Feature products. The use of metal casters or casters with surface contact less than one-half inch in width, ball type casters, voids this warranty.